The HR function in enterprises right across the world is changing, and especially this is the case in the Asia-Pacific region. As world trade tilts towards China and Asia, employees and candidates find themselves in a seller’s market. Fluidity in the economic prospects to the new generation of candidates means that people are more willing to pick and choose from their options, with options being considered in part-time roles, remote working, freelancing, zero-hours contracting and even having multiple jobs. The pressure is on HR departments therefore to attract the best candidates, and then engage with the very best potential employees as they go through selection, interviews, and continuous development. In every area of HR, there are technological solutions that can support your HR function, with the very latest breakthroughs in cognitive learning, social media interactions, mobile technology, and powerful integrations. If you’re looking to take the next step up in human resources, we suggest you consider one of the companies’ platforms featured below. Every company and HR Department is different, so no one supplier will be perfect out-of-the-box, but in your considerations, you may wish to be mindful of some of the following aspects of HR, and how your systems can be improved with a little technology. Human Resources Departments and Recruitment Agencies can no longer wait to be approached by the perfect candidate as soon as a new vacancy is published. Disruptive technologies that have changed the candidate search landscape are increasingly powerful and can comb through the data on candidates that’s online. The latest software platforms can help define your candidate more clearly regarding the specific business functions required. Some platforms will help construct job descriptions, and others will use machine learning capabilities to work through all your current and past job descriptions to draw out the aspects that you seek: challenging to define facets like sentiment, company “fit” and attitude. Only once you have reliable data on which to base your searches is it time to deploy the solutions that actively seek the perfect candidate, who may or may not be actively seeking a new position. It’s up to you then to engage in a way that will attract the right people. And even though the empirical definitions of a “passive” candidate may seem to point to the conclusion that the perfect candidate has no intention of changing employer, some platforms featured below will cross-reference candidates’ social posts to detect language that expresses dissatisfaction at work, or in general lifestyle. There are clues to be found, and it’s technology that can ferret them out! In some careers, training and development in the workplace are a deciding factor that dwarfs all others – especially in IT roles, the statistics tell us. However, whatever the vertical, employee training needs to be in place. Look for solutions that can offer personalized training schemes, way-pointing, and self-development possibilities. Each training or certification event should be seen as a valuable point at which employee and employer can engage, with possibilities for peer feedback, supervisory review and employee input all coming together to create more productive, happier and effective employees. In larger companies, the back office burden for creating and monitoring bespoke development schemes is immense. Here, HR software platforms can take away much of the burden from HR staff. Employee self-service is the most obvious aspect of the role of technology, but the suppliers featured below each have an individual take on the issues. Before you pick up the phone to a new HR systems supplier, it’s worth taking stock to fully realize what issues and pain points the HR Department is currently experiencing. These can be modeled in software (there are plenty of solutions out there) or an old-fashioned whiteboard and pens might be more your style. Whichever your choice, it’s very relevant to work out where the resource drains are, and where precious hours can be saved. The truth is that HR staff engaged in repetitive, tiresome paperwork and administrative tasks will not be able to, for instance, create engaging development programs for employees, or use their time to attract the best talent. One of technology’s great pluses is that it excels at just those dull, repetitive jobs that HR staff dislike – and the duller the activity, the more prone to errors the work becomes. This particular aspect of HR solutions is sometimes only an afterthought, but in this respect, the wrong choice can negate any savings in resources that your new solution makes. Your organization will already have suites of software & systems that run the different parts of the enterprise: payroll, finance, logistics and so forth. It’s essential that the HR platform can push and pull information to and from these other (legacy) systems, as without this ability, HR staff can find themselves manually exporting and uploading data into payroll spreadsheets, or finance software platforms. Savings may be made in one area, only to be lost in the creation of further overheads somewhere else. Some HR platforms integrate out-of-the-box, while others may need specialist staff to negotiate the API interfaces between competing systems. This may be expensive to buy in, or your organization may not have the resource internally to achieve this. Here are the four suppliers of Human Resources software applications that we think tick at least some of the boxes outlined above. The Prosoft HRMS (Human Resources Management System) from Unit4 is a modular HR management system that’s deployable on-premise, in the cloud or as a hybrid with managed hosting. Prosoft comprises two areas: the administrative functions of HR, and the provision of strategic tools needed to recruit and develop staff. The platform combines administrator modules with employee self-service modules, and this not only empowers HR staff but also proactively engages employees with their journey through the business. There is just the one central database at the system’s heart, so there’s no double or triple data entry, too. The company’s solutions have been in use in APAC for over thirty years, and are the HR software standard for the area, being payroll-compliant in ten countries locally. The company is ISO 9001- & 27001-certified, providing optimum levels of data protection and confidentiality. Prosoft integrates easily with legacy stacks (SAP, Oracle, IBM, et al.) but unlike many of its competitors, businesses can make their own changes to deployments, so TCO is kept low – no expensive consultants required to make every tiny alteration! 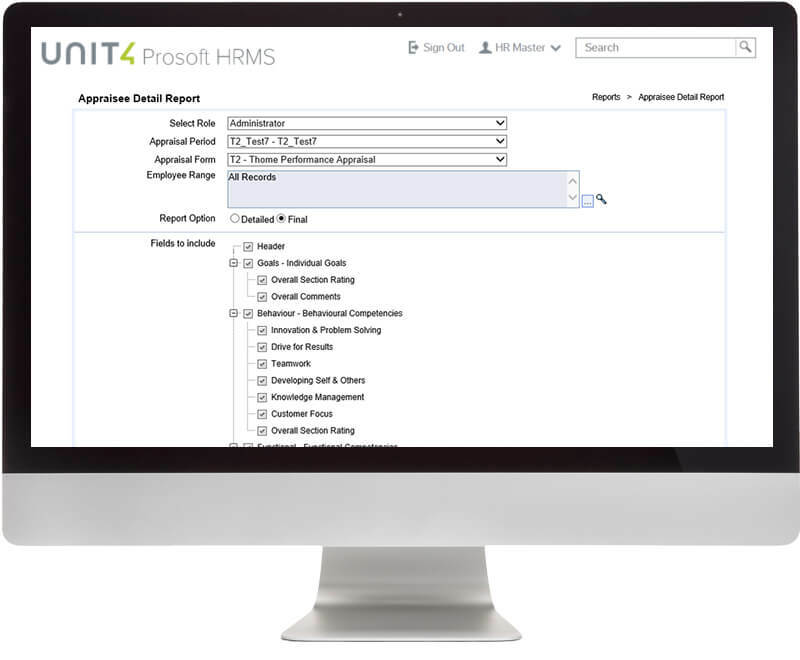 You can read more about Prosoft HMRS and the other powerful business solutions from Unit4 here. 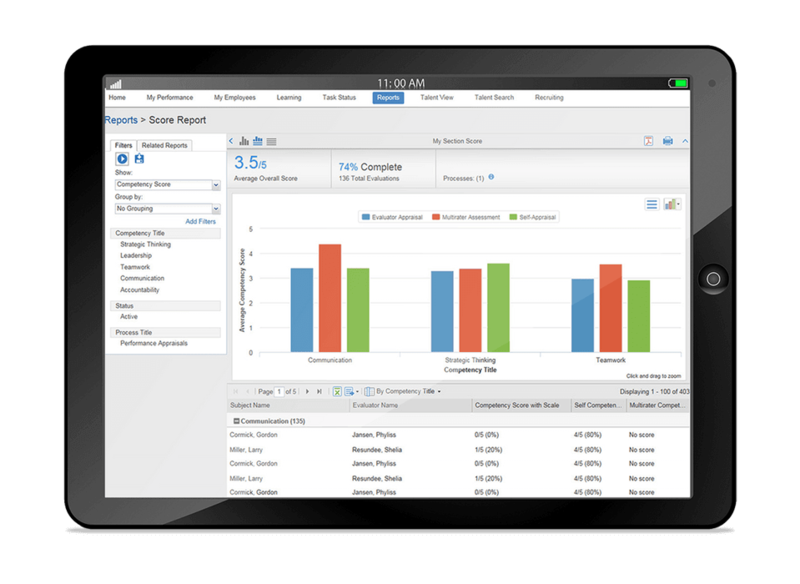 Unlike core HR and systems of record type vendors featured here, Saba Software specializes in talent management. More specifically, they’re focused on how the strategic intersection of learning and performance can drive meaningful experiences for employees, and business impact for organizations. Every company says they want to attract, hire and retain “top talent.” The problem is not that they can’t — it’s that often they are lacking the environment and technology to do that in a way that actually enables their people and their business to succeed. Saba’s talent management solutions are designed to make learning and development, recognition, coaching and feedback a part of your people’s every day experience, so they can deliver their best. And with deep performance and program insights, Saba connects the success of your people to the success of your business like no one else. Thousands of customers worldwide count on Saba to engage people, connect teams and get the critical insight they need to prove the impact of talent on business success. To find out more about Saba, The Talent Development Company, click here. For organizations that already use the German SAP enterprise resource planning (ERP) platform, the addition of SAP SuccessFactors will be a no-brainer, adding as it does a seamless integration with the rest of the data and methods already embedded in the larger platform. However, even as a standalone could-based service, SAP’s cloud HR software and services are attractive, as they offer a complete HRIS (human resource information service) system that will streamline your organization’s HR function, from acquisition to re-skilling and training employees. Benefits, salaries, and payments form the core of the system, with employee self-service an option for expense submissions, time tracking, and attendance notifications. The powerful SAP back end handles complex calculations like time-off-in-lieu, so HR departments can concentrate more fully on their strategic role in the enterprise. SAP leverage AI (artificial intelligence) code into its talent acquisition algorithms, enabling companies to improve the whole onboarding experience for an improved raft of would-be employees. Staff evaluations, incentivization and pay bench-marking studies can be carried out across individual departments or right across the business, with compelling and actionable data available in reports for HR management. There are figures on diversity, staff churn, performance stats and much more that can make the overall “steer” of complex HR functions quick and straightforward. A series of dashboards present data as and when it’s needed – and all information is held securely and according to statutory governance rules. The Boston, USA-headquartered Kronos is a company that rather than spreads out its reach to encompass the periphery of HR functions’ activities, instead concentrates on the critical areas of HCM (human capital management) and workforce management. 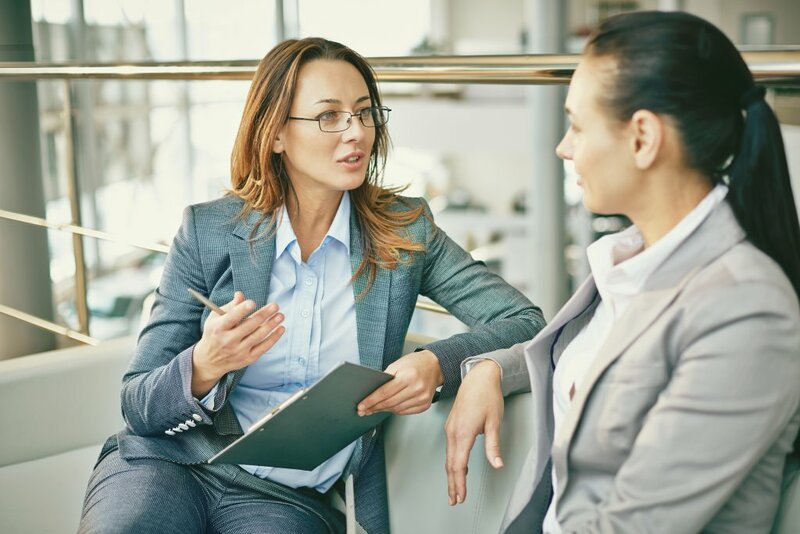 HCM comprises on acquiring the right candidates, onboarding those who’ve successfully interviewed and accepted a role and then managing the HR side of payroll. For day-to-day functions such as time tracking and workforce tracking, the Kronos suite takes away much of the hard work from HR administrators, with issues like the integration between the time-tracking clocks available from Kronos themselves (or the voice response assistant also part of a broader solution) and the software back end. 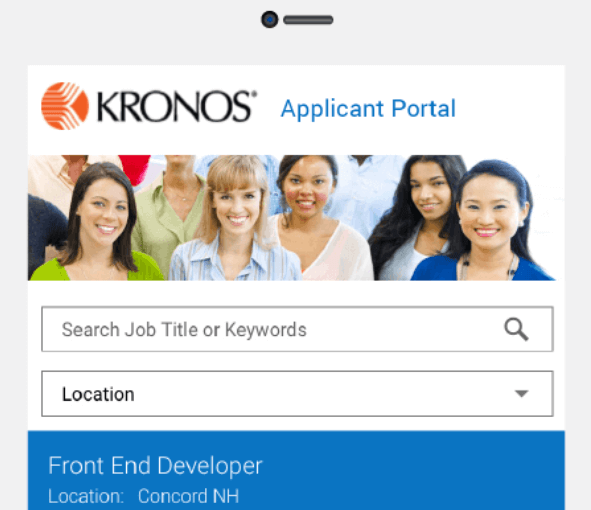 The Kronos talent acquisition tools will help HR Departments track applications right through the hiring process, and will even help with screening candidates for sensitive positions, such as those in child-centric environments, healthcare, and military/law enforcement roles. Based on the Workforce Dimensions Suite and/or the Workforce Ready Suite, which work with the cloud-based Kronos Workforce Central, the Kronos solutions can be tailored to suit any size organization and budget. The platforms’ GUIs and overall approach are heavily influenced by consumer tech so that you can expect high uptake rates among staff both in HR and employees across the organization: simplicity and innovation combine in Kronos’s solutions.